National Agents Alliance was recently in Florida, on lovely Captiva Island! The team's HotSpot leaders all got together to take part in some good old fashioned team building and leadership development activities while doing what The Alliance does best: Having Fun! Tag along as the team takes on the challenges of boat building, blind folded! Who will sink and swim, will anyone stay afloat? Check out the adventure in this special recap video of the trip, and be sure to check out all the pictures at AMPPix! While this trip may be over, there are more coming! We need you to be at the next one with us. Build up your HotSpot, keep it hopping, keep the learning and knowledge flowing! See where you can go to help, build, or learn at NAA HotSpots! The Albright Leadership Cabin is a rustic getaway in Yanceyville, NC, where you can truly escape from the hustle and bustle of life. but still be connected enough to get work done while you play. It's the type of place where the worlds of work and leisure can successfully combine to provide one of a kind moments that change lives. In March 2015, the inaugural group of National Agents Alliance team members made the very first trip out to the cabin. Intentions were the same as the very core of the Alliance - Have Fun, Make Money, and Make a Difference - and the team did just that! They spent time strategizing, learning, building and strengthening relationships, and having a whole lot of fun together. Join us as we take a ride through the Alliance team's time at the Albright Leadership Cabin, and get a little taste of what to expect when you earn your way to a getaway there! National Agents Alliance just wrapped up one of our most successful events ever - the 2013 Leadership Conference! Held at the Alliance's headquarters in Burlington, NC, the entire building was teeming with energy, knowledge, fun, and people! In fact, we've never had so many people at HQ at the same time before. The opportunities to learn from the leaders and fellow team members is always incredible during LeadCon, and with folks coming in from all areas of the country, the association possibilities this year were off the charts! During the conference, National Agents Alliance top leaders poured out information to the crowd, we announced the winners of the 2014 Get Your Ship Together Kids Coloring Contest, and even aired a rip-roaring pirate adventure. Check out some of the highlights of this awesome event in this recap video! On this national training call for April 9, 2013: Please join Alex Fitzgerald as he covers "Leadership." Brian Tracy on National Agents Alliance's leadership. The Wednesday Call Live (TWC) for March 14, 2012: In today's live show, Andy Albright and Tim Goad providing insights on how to run a successful business and live a full life. The Live Show will air again on March 21, 2012 at 12:30 PM ET. The Wednesday Call Live (TWC) for March 7, 2012: Andy Albright is coming at you live from National Agents Alliance Headquarters in Burlington, NC! Training, team building, and surprise visits from top agency managers are all common themes for Andy's live show. Tune in to get all of today's great info! The Live Show will air again on March 14, 2012 at 12:30 PM ET. 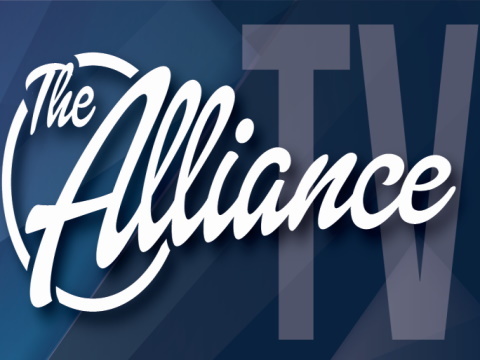 The Wednesday Call Live (TWC) for December 28, 2011: Andy Albright is coming at you live from National Agents Alliance Headquarters in Burlington, NC! Training, team building, and surprise visits from top agency managers are all common themes for Andy's live show. Tune in to get all of today's great info! The Live Show will air again on January 4, 2011 at 12:30 PM ET. Have a safe and wonderful New Year Celebration!! Listen to Barry Clarkson recognize the top agents in the business and congratulate them on their hard work! He'll tell you what to pay attention to in these leaders' daily activities, and how to become incredible at recognizing people.